Bluemap Design deftly balanced engineering and marketing objectives to design an all-weather, fun and affordable digital camera. To accomplish this, Bluemap Design embraced broad goals to produce a solution that is appealing to all demographics and just right for any use, anywhere. Providing a form factor of unique proportion, scale, and detail, Bluemap Design nicely defines “KODAK EASYSHARE Sport C123’s” distinct market approach. The coveted Red Dot Design Award, Germany has already recognized this design quality. Given design, performance, versatility, and price, this camera could become a digital age “camera standard” as its appeal transcends age, gender, income or application. 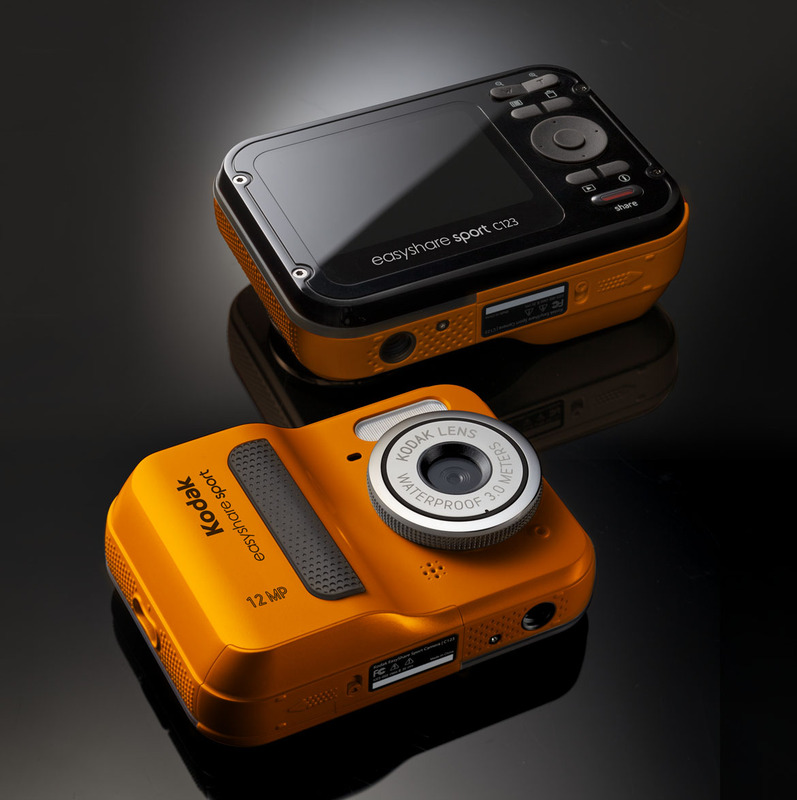 “KODAK EASYSHARE Sport C123″ has great ergonomics with soft rubber grips to enhance use in wet and dusty environments. Easy to use interface and well-designed controls augment a 2.4” LCD color display to make this camera a pleasure to handle. Powered by two “Double-A” rechargeable batteries available everywhere, even in remote locations, the “KODAK EASYSHARE Sport C123 Digital Camera” has a broad geographic range of use and market potential. The “KODAK EASYSHARE Sport C123” is more than a “sports” camera, it is an all-purpose camera that’s just right for any use or demographic, work or play.